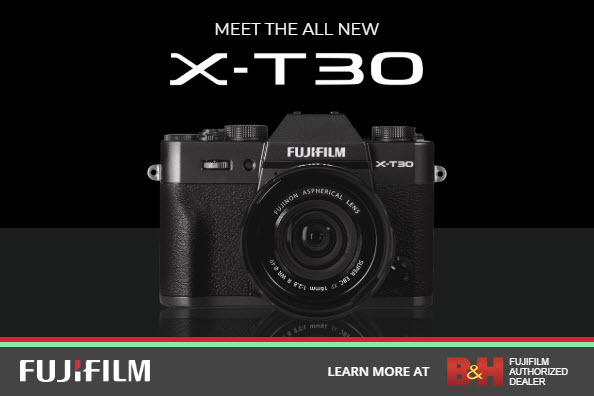 Now that the rumor mill is buzzing with the idea of Fujifilm introducing a full frame X-Pro2, I find myself wondering about what that will mean in terms of change to the classic X-camera design. Despite the introduction of newer, improved models culminating in the very latest X-T1, I've grown fondly attached to my X-Pro1, and threatened by the prospect of an updated, full frame version. I feel a little like Paul Simon when he sings, "Please don't take my Kodachrome away." My X-Pro1 is beginning to show signs of hard use. In other words, it is developing character with the promise of an interesting story behind every dent and ding, and a tale of constant trekking in the rubbed off paint and scuffs. I don't think I will ever trade it in on a newer model. Instead, once it has out-lived its usefulness, I'll end up putting it on a shelf where I keep my Leica M2, M4, Nikon Ftn, and Contax G2, and several other cameras that hold special memories of enjoyable shooting sessions. Of course sensor technology will continue to change while the X-Pro2 is still in design stage so it would be foolish to speculate too much on what it might become. Basing speculation on the design philosophy of the X-series, would argue for a full frame sensor that is good in low light, a step up in megapixels, and something that does not bog down the camera with excess processing -- perhaps a jump up to 24mp. At that level the X-Pro2 would go head-to-head with the Sony A7 and Leica M 240. A bigger question for me is whether an X-Pro2 will keep its basic style with a hybrid optical/EVF viewfinder. I sure hope so. That is one of the main features that makes the camera so appealing as a cult classic. 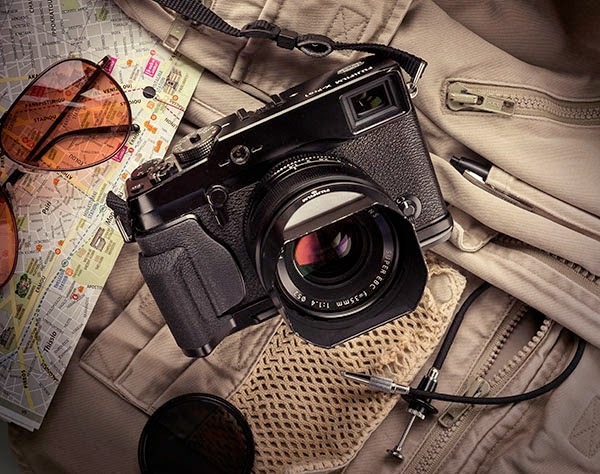 The other question is whether an EVF finder incorporated into an optical system can have the same excellent characteristics of viewfinder size, refresh rate, and image quality as the X-T1. I'm guessing the engineers at Fujifilm are working on that question right now. Will a full frame X-Pro1 design be plagued with the same lens conundrum Sony faced with the A7? I am not talking about how Sony dropped the ball by introducing a camera with only the shallowest of lens support. I don't think Fuji would ever make that mistake. Instead, I am thinking of the inherent problem with designing lenses for full frame, which is that they must be larger to cover the larger sensor area and this flies in the face of keeping mirrorless systems compact. Modern lenses are also bulked up by all the auto-focus and stabilization engineering now shrouding the interior optics -- something the manual Leica lenses do not have to include. 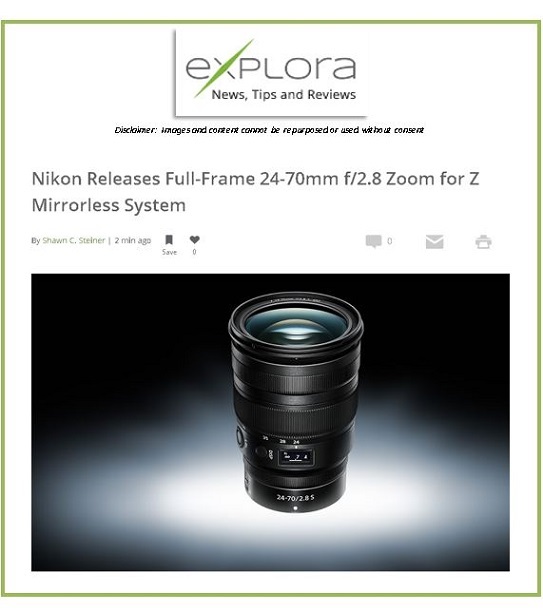 To make the lenses intended for the A7 full frame series in a size that does not over-power the small camera, Sony had to down-size the maximum zoom apertures to f/4. The new pro zooms coming out for the X-series will be f/2.8 -- larger glass than the variable zooms, certainly, but still reasonably small due to the smaller APS-C sensor they have to complement. The X-Pro2 will most assuredly accept Leica M lenses. Focus peaking coupled with image magnification now make using manual lenses far more practical. If the X-Pro2 can maintain the optical viewfinder as well as the EVF, it is going to become a very attractive, and much less expensive alternative or supplement to the Leica M.
Fujifilm prides itself, and justly so, on listening to its client base. My guess is that this philosophy of listening will influence the X-Pro2 design as it begins to take shape and reactions come in from the user pool. Not everyone is going to be pleased by going up to full frame. Fuji has mastered the smaller APS-C sensor to a point where serious pro photographers are having no compunction about making the switch from full frame DSLR to Fuji APS-C. The Fuji cameras are really that good. I have mentioned repeatedly in my reviews of many mirrorless cameras that I feel the manufacturers have gotten caught up in a trendy competition to see who can make the smallest one. To me the nice thing about the X-Pro1 is that it is slightly larger than the rest of the X lineup -- not a lot larger, but enough to make it easier to hold and operate the controls. Maybe instead of moving the X-Pro to full frame, Fuji could consider keeping it as a slightly larger alternative to its other models, perhaps even giving it a beefed up APS sensor. This would add more versatility and choice to the X-camera lineup, and the larger size would allow Fuji to fit in a better EVF finder as well as some more dials -- not to mention it would allow all of us to use the same lenses. Fuji revolutionized camera design when they introduced the now classic X-Pro1 mirrorless body by tuning into the marketplace, which only begs the questions on a full frame X-Pro2: Can they do it again? Should they do it at all? Are they still listening? If you are planning on purchasing this classic camera, you can help support this site at no extra cost to you by purchasing from one of our affiliate sellers listed below -- and thanks for your support. Well, as much as I enjoyed your thoughts I think I have to disagree with them. I would like to see Fuji stay the course with APS-C development. I think that FF is known and the choices are pretty good, but there are physical limitations as to how small and yet feature rich that format can go. I think most images today would benefit little buy having been shot with FF as opposed to and APS camera. I know there are differences, but even now they are close to academic as it either takes a trained eye or a very large print to illustrate. Having just acquired a X-T1 and considering an X-E2 with a selection of lenses, I really hope that Fuji does not follow the full frame fad with the X-Pro2 - as that will in essence result in 2 systems - a nonsensical solution. That said, as an ex Xpan user, I would love to see a digital version of that iconic camera. You write that mirror less camera systems need to be compact. Sure? I for myself find current mirror less cameras almost too small. The Fuji X-T1 doesn't have a good grip to hold for longer sessions (there is an additional grip for extra money, but what is the purpose of celebrating the size and then buy an extra grip afterwards) and the buttons are too tiny. The good things are the dials to command the camera, but this is not true for other mirror less cameras. What I like about mirror less is not size, but EVF, peaking, magnification, fast contrast based focusing (more accurate for non-moving subjects). It doesn't have to be (too) small. A FF X-Pro could be interesting. I don't mind the size of the autofocus lenses, my Nikon D610 with 28, 50 and 85 1.8 lenses is not a problems weight and size-wise and you always have the option to stay small using MF primes. Other than that, I like you blog and I got tempted to look into Fuji, although right now the Olympus EM1 and D610 serve me well. Well, I agree with you most times and about most things... but, alas not here. I think there are choices enough for FF systems. My concern is that there will be physical limitations as to how small FF lenses and systems can be while retaining most of the features we've become accustomed to. Also, I think it can be fairly argued that the differences between FF and APS-C are close to the point where you either need to be skilled or have a large print to really see the difference. And this only difference, not benefit. I think Fuji struck a real chord with shooters with their innovative refinement of the sensor and their novel approach to body design. I like that my files sizes are reasonable, as are my premium XF lenses. I fear much or all of this will go away if/when Fuji goes FF. And why would they really, they have very little competition in APS-C, most systems they are already compared to (even by you ;) ) are FF. It's hard to be a game changer when playing the same game, with the same constraints, as your opponents. I happen to agree with you Bradley, and sorry that my writing blurred this feeling. I rewrote the last couple of paragraphs in an attempt to make things clearer. Thanks for your observations. Spot on! I think that you're updated penultimate paragraph on the Xpro makes a lot of sense. This is s.th. where I would consider buying a Fuji myself (weather-sealing would be nice, too). Fujifilm is not a large company. I don't know what it takes to invent a new line of lenses and models to be in DIRECT competition to Canikon or Sony, in shrinking market. Canikon never wholeheartedly went the APS-C route. They provided good bodies (D7100, for example) but only few lenses (mostly slow, FF can be used of course, but are larger than necessary). Sony has APS-C lenses but not of the same average quality as those of Fuji. That's Fuji's biggest asset and they should make use of it.